HEBRON ― More than 200 Israeli settlers attacked the Palestinian villages of Wad al-Haseen and Wad al-Nasara near the illegal Israeli settlement of Kiryat Arba overnight in the eastern Hebron district of the occupied southern West Bank, locals and medics said. ____During the attack, Israeli settlers threw stones and firebombs at Palestinian homes and injured at least three people, two of which were minors, while Israeli forces later shot and injured one Palestinian with live fire. ____An Israeli army spokesperson said she did not have reports of any injuries with live fire. HEBRON ― An Israeli court this week refused a family’s appeal to stop the demolition order on their home in the southern occupied West Bank district of Hebron, the family told Ma’an. ____After failing to establish an appeal, Israeli forces will go forward with the demolition order on the family home of Palestinian prisoner Maher Hamdi al-Hashlmoun, 31, the family said. 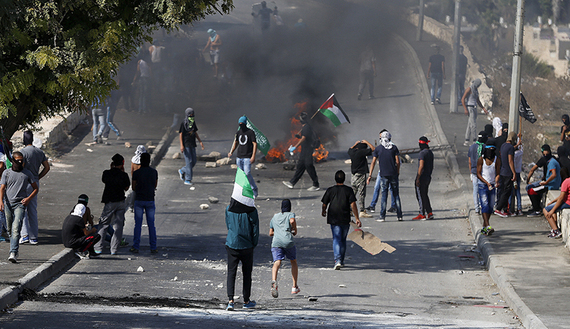 Despite the sense of pride Palestinians have been expressing as they break the fear barrier and stump one of the world’s most powerful armies, Jerusalem’s intifada is taking its toll on the Palestinians of the holy city. ____The trigger-happy Israeli soldiers, settlers and citizens encouraged by their government to carry weapons have created fear and terror among the 350,000 Palestinians who make East Jerusalem their home. 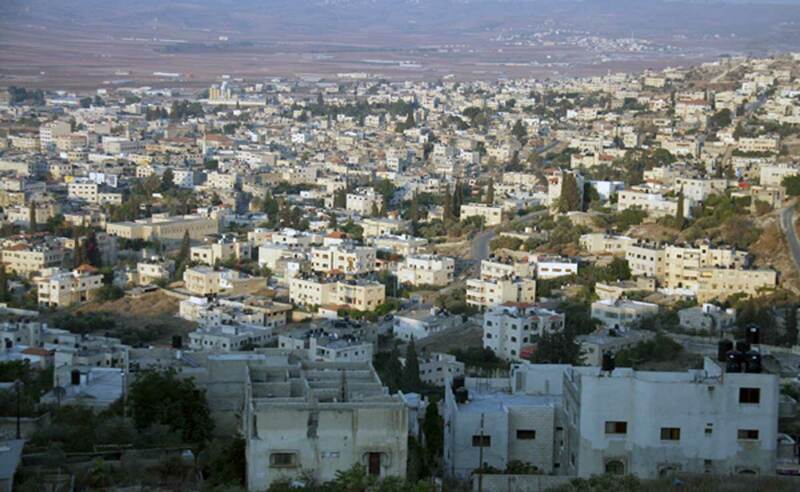 JENIN– Israeli forces Sunday fired tired gas canisters and stun grenades inside a boys’ secondary school in Jenin while students were still inside, while groups of settlers attempted to storm Yabod town to the west of Jenin. ____Witnesses informed WAFA that Israeli soldiers stationed adjacent to the separation wall, built illegally on land belonging to Palestinians, fired tear gas canisters and stun grenades inside al-Tayba Secondary School to the west of Jenin. ____Earlier Sunday, Dozens of university students suffocated as Israeli forces Sunday raided the campus of Palestine Technical University- Kadoorie to the west of Tulkarem city, while firing a hail of tear gas canisters toward students. We, a group of professional and trade union figures, intellectuals, and political activists, appeal to the Palestinian leadership within the Palestine Liberation Organization and outside of it, to call on the United Nation and the permanent members of the Security Council to put the Palestine territory occupied by Israel in 1967 under the international protection of the United Nations. ____This call is coming after two decades of negotiations between the leadership of the PLO and successive Israeli occupation governments. These negotiations have not been able to achieve the rights of the Palestinian people to return to the homes from which they were displaced and to self-determination. The goal of this initiative is to provide an exit strategy from the arrangement in which the balance of power is tipped entirely in favor of the occupying state, thereby giving it the opportunity to impose its policy of fait accompli. as she prepares dinner for her family. children playing in the yard. to see the full size of it. From BEFORE THERE IS NOWHERE TO STAND: PALESTINE ISRAEL POETS RESPOND TO THE STRUGGLE. Ed. By Joan Dobbie and Grace Beeler. Sandpoint ID: Lost Horse Press, 2012. Available from Barnes&Noble. ROCHELLE MASS, Canadian born, with her husband and two young daughters, moved to Israel in l973, lived on a kibbutz in the Jezreel Valley for almost 25 years, and now lives in a settlement crawling up the Gilboa Mountain, overlooking that valley. She is a translator and editor (Kibbutz Trends, bi-annual of cultural/political issues). She has published two poetry collections. Blogger’s note: My reading of Mass’s poetry is that she is a dedicated Israeli. However, she does not advocate violence and has some real sense of the horror of the life she represents.